How do different theories, ideas, movements and ideologies effect the way in which we watch films? Do they impact on the way in which we receive meaning and information from a film? Do they help us understand how films work and communicate with an audience? And, ultimately, do they effect the way in which we make films for an audience? Your task is to select one of the theories/approaches/movements we have covered in session and create an educational guide that can explain your chosen concept to an A-Level Film Studies student. The CONTEXT in which they emerged/developed. The Core Narrative Language of the Sci-Fi Genre. This essay is targeted to examine the function of movie genre. To narrow it down, this research is more specifically going to focus solely upon the science fiction genre. Science fiction is considered one of the most creative and thought provoking movie genres around today. To correctly analyze science fictions conventions and its core narrative, this report will observe the paradigmatic shifts with historical, social, and culture transformations. To successfully do this within this paper, the analytic structure will chart three core films from three different generations of science fiction film history. This report will study Fritz Lang’s film ‘Metropolis’ (1928), Robert Wise’s ‘The Day The Earth Stood Still’ (1951), and Ridley Scott’s ‘Blade Runner’ (1982). Finally this essay will then be wrapped up by evaluating the findings of the research, to show accurately that science fiction reflects the time period and its society from which it is made. In preparation of this analysis, it would be skillful to fundamentally understand science fiction and original themes and core paradigms. Science fiction is very similar to the fantasy genre, and its themes consist of imaginative storylines that trigger thought to their audience. However science fiction has always maintained a distinct and consistent plot, based upon one single thing, futuristic technology. Technology has been the key factor that defines science fiction films core narrative. Nowadays there are considerable amounts of hybrids sci-fi films, combined with other genres, such as horror or westerns. Nonetheless any storyline in the sci-fi genre can relate back to technology in some form or another. Science fiction gained popularity because it got viewers to profoundly contemplate the possibility of what could be. Sci-fi has always had a regular tendency to foreshadow highly advanced technology to come. Such as George Melies in 1902, who created the short film Le Voyage Dans La Lune about traveling to the moon. However it wasn’t until 1969, that Apollo 11 first landed man on the moon. Another example is in Stanley Kubrick’s film, 2001 A Space Odyssey, which came out in 1968, but had a touch screen tablet called a news pad. When not until recently, in 2010, Apple released the Ipad, which is undeniably very similar in design. Seeing that this is a repeated occurrence, this is why most science fiction films are set in the not so distant future because it addresses the audience that this could potentially be a reality someday. This means the narrative for sci-fi has a large amount of scope to work with. Especially because no one can predict the future so we can only imagine and play with the idea of new technological advances. Fritz Lang’s ‘Metropolis’ (1928) was the first feature length science fiction film to date. It was also one of the most expensive films ever made. The narrative takes place is the future in 2026. The movie’s set consisted of massive skyscrapers and the themes are based off post World War Two and imagery of the dystopian mega city, which gives the concept of architectural totalitarianism. The height of the buildings connotes the hierarchy of status where the powerful rule at the top and the lower class remain deep below ground level. The lower class people almost literally become machinery who serve the ruling class by working hard labor-ridden jobs in the poorest conditions. Their lower class appearance implies prisoners with shaven heads all under the power of the overbearing authority that controls them. This predicts the Holocaust and symbolizes Adolf Hitler’s anti-Semitic concentration camps. A real robotic human is constructed in the denouement stage and the lower class workers ban together and revolt by smashing up the machines that run the city. The upper class are resembled as the brains while the lower class is suggested as the hands. In the end they two make alliances with the mediator of the ‘heart’, Freder the main protagonist, and a new era begins in solidarity. Robert Wise’s film ‘The Day The Earth Stood Still’ (1951), main themes signify paranoia about communists or reds under the bed, and the witch-hunt that was McCarthyism. Following World War Two, science fictions films main core themes during this era tended to be about nuclear threat and destroying the earth. In ‘The Day The Earth Stood Still’ (1951), an alien comes to earth bearing the message that if earth continues to remains violent, the other planets will have no other option but to destroy the world, as it poses a major threat to the rest of the galaxy. This denotes how hostile earths society has always been, and signifies the arms race between superpowers during the cold war. The alien ship initially lands in Washington D.C, and the first thing the government does is send out the military with loads of weapons and artillery. The conclusion ends without resolution and the alien decisively flees earth, giving a final warning that the ultimate decision rests with the planet. Finally Ridley Scott’s ‘Blade Runner’ (1982) portrays futuristic 2019 Los Angeles as a overly polluted environment that continuously remains dark and is habitually raining. Scott notions early in the introduction that reputable humans set off to live on distant planets, as earth is only a place for sleazy common people. Androids or replicants, illegally live among humans on earth and are tracked down and destroyed by the a police task force known as blade runners. They use a device called the Voight Kampff machine that establishes differences between humans and replicants . The main core theme and context for ‘Blade Runner’ (1982) reflects the society of the era it was produced. People from this time became profusely skeptical with the corruption of the government with Margret Thatcher and Ronald Reagan’s hyper capitalist foreign policies. People also from this era were extremely fearful of mass unemployment. Scott denotes this within his film by showing an overpopulated presence of homelessness. He contrasts this with showing wealthy people remaining wealthy as well as corrupt. It is noticeable that science fiction films demonstrate the era and culture from which it is made on. “Science Fiction does appear to be linked to change, mutation, or evolution”(Johnson, 2011. So does technology describe science fiction’s narrative as a whole? Well it is a bit difficult to define completely, but since every plot somehow correlates with technology one way or another. it is undoubtedly certain that technology plays a significant role in science fiction. Today society lives in a modern generation of all these technical breakthroughs, and it does not seem to be slowing down any time soon. If anything it is just getting ready to take off now. More and more cutting edge technology will come forth, making the previous model before it obsolete, with no foreseeable end in sight. “Science fiction is hard to define because it is the literature of change and it changes while you are trying to define it” (Tom Shippley, 1982). This means science fiction narratives will always evolve as technology transforms, thus creating infinite ideas with thought provoking plots. 1. Tom Shippley. (1982). Understanding what science fiction really is . Available: http://www.helium.com/items/1314979-science-fiction. Last accessed 20th April 2013. 2. Keith M. Johnson (2011). Science Fiction Film: A Critical Introduction. London: Berg Publishers. 2. 3. Joanna Russ (1995). To Write Like a Woman: Essays in Feminism and Science Fiction. USA: Indiana University Press. 22. What Makes an Auteur an Auteur? There is a theory in film known as auteurism, which is the belief that movies are distinguished solely by directors and their own vision and personal style for their films that they create. Auteur derives from the French word, author, and like authors write books with their imaginations so should directors to their films. They should have complete insight to the films they produce and almost all their movies should be recognizable from first glance. It’s their unique techniques that they use from pre to post production that make an auteur an auteur. The auteur theory was thought up by main propagandist François Truffaut, who ignited the artistic French New Wave movement in the 1950’s. Truffaut, who was a writer then turned director, wrote an article in Cahiers du Cinema magazine called, A Certain Tendency in French Cinema. He stated that French cinema was dead because it was too literary and script led. He basically said, why not simply read a book or watch a play, if you want people just to talk? He wanted to legitimize film as an art form. “The film of tomorrow will not be directed by civil servants of the camera, but by artists for whom shooting a film constitutes a wonderful and thrilling adventure” (François Truffaut). The most acknowledged to-date auteurs consist of Alfred Hitchcock, Steven Spielberg, and Quentin Tarantino just to name a few. Hitchcock was known for his suspenseful thriller movies with quick cuts and blonde women. Spielberg usually displays distinct concern for the well being of children in his films, and nearly all of his movies usually contain dysfunctional families. Tarantino is most known for his non-linear story line and his excessive use of violence and drug use in most of his films. All three of these directors have their own certain style, vision, and methods to their procedure of filmmaking which establishes them as great auteurs. “Directors whose work expressed such a vision deserved to be called auteurs (Branston & Stafford, 1996). Aside from the heavy-hitters, I believe that Spike Lee is one of the most under-rated, obscure and unrecognized auteurs around today. It can be debatable that Shelton Jackson “Spike” Lee could be considered an auteur, but with enough evidence I plan to set the record straight. Lee has his own production company, 40 Acres and a Mule Filmworks and this is why Lee’s work is so recognizable. One of the many defining techniques that Lee utilizes the most is using the subject of race as a tool in majority of his films. “Studying film at New York University, he was almost expelled after cutting all the racist moments from D. W. Griffith’s The Birth Of A Nation (1915) into a twenty-minute short” (Armstrong & Charity, 2007). There are two very similar scenes that stick out the most when focusing on Lee’s work. One of Lee’s first movies Do The Right Thing (1989) has a scene where the actors break down the fourth wall with monologues directly to the camera demonstrating their hate for opposite races. The second scene is just like the previous one only more exaggerated and amplified. It’s from The 25th Hour (2002), where the main character has a five-minute monologue with himself in a mirror, expressing the hate he has for all races. Looking at both of these very similar scenes it’s undoubtedly accurate to say that Spike Lee has a specific aim and stance to his filmmaking. Most of Lee’s work is exceptionally controversial using these techniques of race relations. “Get on The Bus (1996) followed twenty black men on a coach trip to the million man march, and Jungle Fever (1991) asked if interracial romance was possible” (Armstrong & Charity, 2007). Lee being an African-American, has two major influences in his life that unquestionably affect his work. “The raw energy of his work comes from the friction of opposing forces: pragmatic compromise and militant separatism, the teachings of Martin Luther King and the teachings from Malcolm X” (Armstrong & Charity, 2007). Another key point that marks Lee as an auteur is the fact that he uses the same actors and actresses in his films. This gives an overall feeling for Lee’s work and makes the audience understand the types of movies that he creates. Lee is also comfortable enough to even act in the majority of his earlier films. Most of Lee’s work is focused in Brooklyn New York, which also creates and defines his style. Lee is also known for “ the disorienting change of lens in Crooklyn (1994), which gave his characters an elongated, hall-of-mirrors appearance” (Armstrong & Charity, 2007). All of these things are definite signs of a true auteur. Spike Lee is definitely passionate on the films he produces (especially Malcolm X , a film Lee said he was born to make). It is argued all the time that the director is not the sole creator of films. The director cannot possibly do all this by himself. So much work and so many people go into making a film such as actors, cinematographers, editors, special effects, music composers, the list goes on and on. How can the director surely have complete control over the film they make? Especially when so many people work and put input into it? It will always be debatable but “In France the concept of the auteur is not dead, ‘authorship’ has survived as means of marketing films made by ‘name’ directors” (Branston & Stafford, 1996). The name is like a brand or a stamp; People want a big name attached to films so they can relate back to the directors previous work. This can be argued that actors are also auteurs because they get most of the credibility for films, as they are the ones staring in them. Nowadays big film stars are also put on movie posters with the director as the stamp to market the movie out to potential viewers. Nonetheless the auteur will always be a film term for directors and the consistent material that they stick their name brand too. 1. Gill Branston & Roy Stafford (1996). The Media Students Book. 2nd ed. London: Routledge. 353-372. 2. Richard Armstrong & Tom Charity (2007). The Rough Guide To Film. London: Rough Guides Ltd. 307. 3. Movieclips. (2011). Do the Right Thing (5/10) Movie CLIP – Racist Stereotypes (1989) HD Available: http://www.youtube.com/watch?v=gLYTObRhcSY&feature=player_embedded. Last accessed 13th February 2013. 4. Namineofsilent. (2011). 25th Hour – Mirror Scene 720p. Available: http://www.youtube.com/watch?v=3GgI1W2fAI4&feature=player_embedded. Last accessed 13th February 2013. The French New Wave started in 1954 with a magazine writer named François Troufault. He wrote a 20 page article in the ‘Cahiers du Cinema’ or Cinema Magazine, titled, “ A Certain Tendency in French Cinema.” He stated that French cinema was dead, and was too literary, or script lead. There wasn’t anything creative behind it, and Troufault said “what’s so filmic about that?” He said, “why not simply read a book or watch a play if you want people just to talk.”He also stated, “It’s as if montage and expressionism never happened.” This caused a lot of controversy everywhere; So writer François Troufault turned into a director and banned together with Andre Bazin and Jean Luc Goddard. 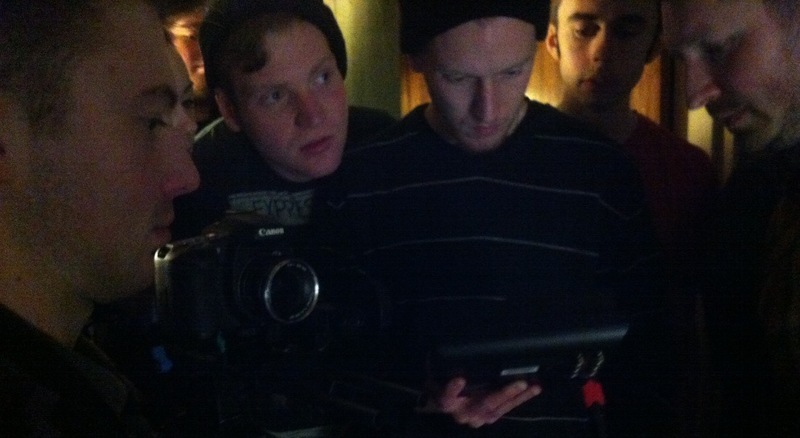 They assembled to write their manifesto on what they believed filming should be all about. They wrote rules up based upon there ideologies and policies. They were trying to legitimize that film was an art form and they also wanted to stick it to the government with these rules. They believed that everyone should follow these rules when it comes to film. First they wanted long takes, They didn’t use scripts or professional actors, they didn’t believe in a non-linear narrative or plot lead stories, no artificial lights were to be used, and there were no restraints of time and space. 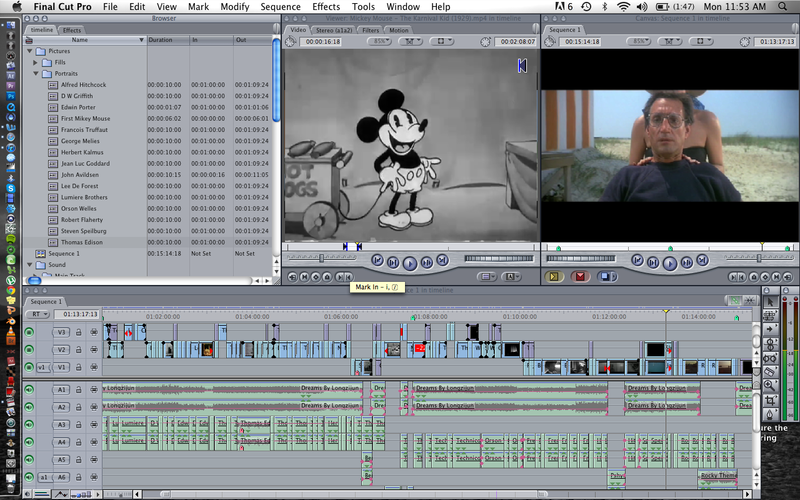 They used jump cuts frequently, as well as freeze frames and titles. The actors would also talk to the camera breaking down the fourth wall, and sometimes the director would do voice-overs explaining to the audience what was happening in the film. This had never been done before and these techniques are widely used by filmmakers today. 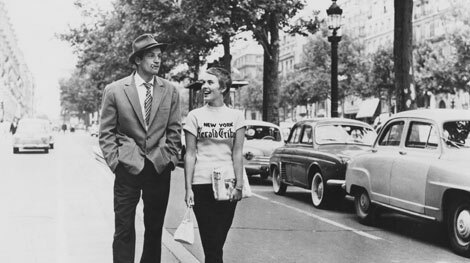 This is a clip from Jean Luc Godard’s 1960’s film, “A Bout de Souffle” or “Breathless”. It is one of the most recognized and influential films of the French New Wave. In this film you can see that there is no definite plot, there are loads of long shots, and many used jump cuts. This movie was really influential for its time, and the French New Wave set up loads of filming/editing techniques that had never been used before. It established that filmmaking was in fact an art form rather than just a screen play on film. This was a one day task to make a video showing french new wave techniques. We were put into groups of 5 my group included, Brad Raiser, Frankie Burrows, Jordan Schofield, Andrew Miles, and myself. How does fiction production create meaning and generate a response from the audience? How did fiction production begin and who were the key practitioners that develop and advanced the practice? In order to evidence this task you are required to produce a series of documents. These documents can either be in a written, graphical or video format. Over the course of the academic year we have examined and analysed a variety of texts and practitioners throughout all our sessions, which will assist you in producing the required evidence. The task is spilt into two parts (A & B). Part A requires you to produce a historical timeline that charts the origins of narrative film form and also charts the origins of televisual narrative form. This can be done in two ways. You can either create two separate timelines or merge them together so that you have just one. How you present your timelines is up to you; you could create a written document that is structured in date order, a graphical timeline or a video based timeline that utilises still images, film and a monologue/voiceover. Part B requires you to select two reports (each report needs to be 1000 words approximately) from the following two lists *. One choice should come from the Genre list and one from the Auteur list. The title of each report on the list will be the title of the report you produce. It is important for the report from the genre list to contain reference to a wide variety of genre specific films. Additionally, the report you choose from the auteur list should also relate directly to an auteur/s and wide body of their work in order to evidence your viewpoint. It is also essential that you make sure that all of you references are referenced using theHarvard Referencing system. Social, cultural and political changes that have influenced horror narrative form. Influences that have shaped the narrative of fictional television police dramas. Key practitioners (past & Present) who advanced fiction production. The greatest auteur of all time. *Alternatively, the report/s could be created as a voiceover of a newly edited video with comparative archive clips embedded or as an accompanying text/subtitles over/alongside existing video. I thought it would be more practical to make a video rather than writing a paper because this is a media course and I should be making videos when I can. I edited this video in Final Cut Pro. I took all the video clips off of youtube.com (which I referenced) and edited them into my video. I got a copyright free song from freesound.org (which is also credited). I wrote my voiceover in Microsoft Word and then I recorded the voiceover in Quicktime and put them straight into Final Cut Pro. Since I had a great amount of videoclips, pictures, and sounds I organized them by correctly by labeling them and adding them in their correct folders/bins. This saved me the hassle and time of finding the files, and made things a lot easier. The development of television and its history postdates film by far, however the invention of television as we know it today was not created by one single inventor. It had many pioneers throughout history that contributed to its amazing advancement. Without them it who knows what kind of world we would live in today? In 1862, Abbe Giovanna Caselli, one of the first television pioneers, invents the pantelegraph; a bit like a modern day fax machine, it transmitted still images electronically through telegraph lines. 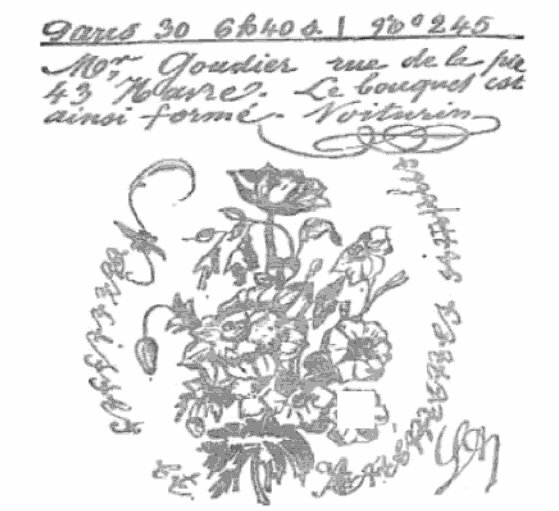 It could transfer messages and drawings with an area up to 150 by 100 Millimeters, such as the one pictured to the right. This was one of the first stepping-stones for television broadcast, as we know it. In 1884, German inventor Paul Nipkow introduced the world’s first ever-mechanical television system calling it the electric telescope. He designed the idea by cutting images up and sending them bit-by-bit through the use of a scanner. It allows to sends images through wires using his 18 lines of resolution disc technology pictured left. In 1906, renowned American inventor Lee De Forest patented the audion vacuum tube, which became a critical development for the television. The audion job was to take weak electronic signals and magnified them. This evolved and moved all televisions away from being mechanical to electronic. In 1923, well known Russian inventor, Vladimir Zworkin, designs and patents the first known television camera tube labeled the iconoscope pictured right. During this time the iconoscope became extremely widespread and prominent in the television industry. 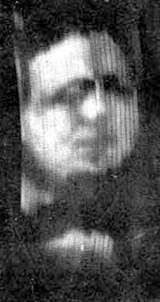 In 1926, Scottish engineer John Baird creates a mechanical television with 30 lines of resolution running at about 5 frames per second. 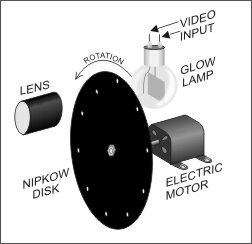 Baird constructed his idea from inspiration from Paul Nipkow’s scanning disc invention. Baird’s technology used different varieties of transparent rods to broadcast his moving silhouette images on televisions. Baird is credited as the first person to televise a human face pictured left. In 1929, Vladimir Zworkin devises another milestone and develops the kinescope, which was the earliest device to record television. The kinescope recorded projected 35 mm film from an external monitor. This preserved some of the earliest broadcasted live television up until 1965 when the videocassette immerged. In 1932, The BBC commenced their first television broadcast from London with 30 lines of resolution. By 1937 new technologic advances makes the older ones obsolete and during this time the BBC begin high-definition broadcasts. In September of 1939 the BBC was taken off the air due to World War II. It wasn’t until June of 1946 that it began resuming. In 1940, Hungarian inventor Peter Goldmark, while employed by CBS, innovates the television forever by making it colour. It used about 343 lines of resolution and it functioned using an electromagnetic system, which held an iconoscope sensor. In 1952, Charles Ginsburg and his engineering team who worked for Ampex Corporation in America introduced the first video tape recorder or VTR. This transformed live images from television cameras and changed the information into electrical impulses and saved them on magnetic tape. In 1956, Australian inventor Robert Adler, developed the first commercially available remote control for television pictured right. It was named the Zenith Space Commander and it made scrolling through channels less of a hassle. This helped further advanced television by making it more modern and easier to use. On July 20th 1969 the first television transmission from the moon was made possible when Apollo 11 landed man on the moon for the first time. About 600 million people watched this as it was broadcasted. Television is only a fairly new technological advancement. It took the brilliant work of loads of inventors from around the world and combined it to get what we have today. Without all their help and dedication we wouldn’t be nearly as progressed as we are today. Televisions of the future will undoubtedly advance, but most likely have added features to the existing ones we have today. There are many speculations to where the trajectory of television is heading, but one thing is inevitable, with major developments happening all around the world all the time, television certainly has a soaring future. Mary Belis. (2013). The Invention of Television. Available: http://inventors.about.com/od/tstartinventions/a/Television_Time.htm. Last accessed 29 May 2013. Julie Chauviere. (2013). The History of TV. Available: http://courses.washington.edu/pioneers/tv.html. Last accessed 29 May 2013.